November is known for things like cold weather (except here in Florida), Thanksgiving, Black Friday shopping, and time with family. But, did you know it’s also Epilepsy Awareness month? We have quite a few customers who have Epilepsy and in honor of those customers, we’re working hard this month to increase our selection of pre-engraved medical alert jewelry specifically for people with Epilepsy. Of course, any of our medical id jewelry can be engraved with the word “epilepsy” but we’ve found that we can provide those id’s to our customers at a more affordable price if we have them pre-engraved. 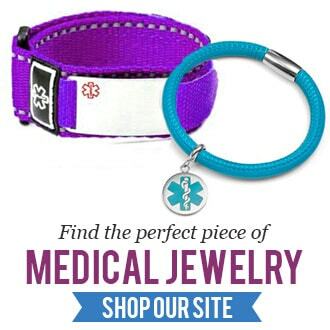 To see the new designs being added this month, visit our epilepsy medical jewelry page. Or, if you’d like to learn more about epilepsy, or how you can help get involved in epilepsy awareness month, the Epilepsy Foundation has a special “Now I Know” campaign going on.